Another project from back in 2005/2006. This loft was a great project with a lot of interesting challenges. 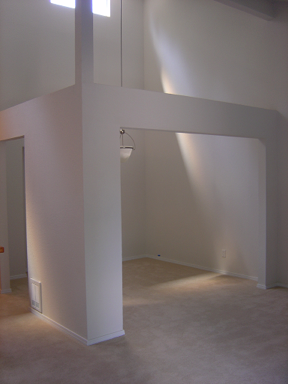 This townhouse had a 2 story vaulted ceiling above the living room, dining room and kitchen and was designed in such a way that a loft would fit nicely above the dining room dividing wall. 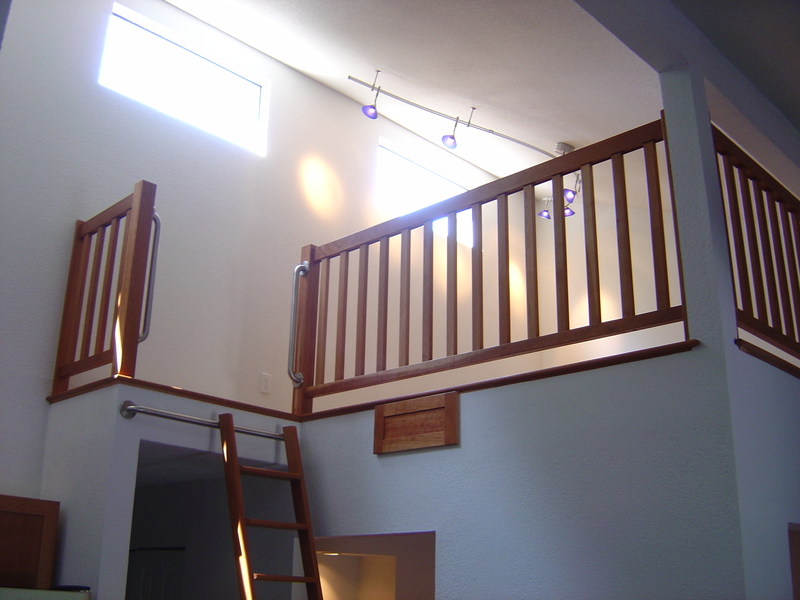 By installing the loft with a lot of natural cherry trim it really warmed up the space, gave the dining room a much better sense of scale and sophistication and added ~150 square feet to a modest size townhouse. Railings, hand rails and ladder completed and installed. Matching cabinet is for storage of the ladder when not in use.